10 Cents a Meal in Place for 57 Michigan School Districts! Article originally posted by Groundwork Center for Resilient Communities. One of the pleasures of my life is seeing that investing in fresh local food for our state’s kids has garnered bipartisan support in our state legislature, along with praise from educators, health leaders, and the business community. This can be seen in the press release that the Michigan Department of Education just released, which officially announces the expansion of the 10 Cents a Meal for School Kids & Farms program for a third year. 10 Cents, which is now serving 57 school districts that impact nearly 135,000 students in 27 counties, provides up to 10 cents a meal in matching grants for schools to purchase Michigan-grown fruits and vegetables. The press release also quotes State Sen. Goeff Hansen, R-Hart, who chairs the state Senate K–12, School Aid, Education Appropriations Subcommittee, which introduced the initial funding for the program. Flint Community Schools is among the 57 school districts participating in the program this year. The lead-contaminated water crisis in Flint—and water concerns bubbling up in other schools too—has vividly shown us one more important reason to make sure our kids are gobbling up yummy fruits and vegetables every day: eating produce helps prevent the absorption of lead in the body. Of course, there are many other good reasons too, like improving overall nutrition and combating childhood obesity. Above: Lunch at Beaver Island Community School, a 10 Cents a Meal school. See the full MDE press release here. Diane Conners is senior policy specialist at Groundwork Center for Resilient Communities. 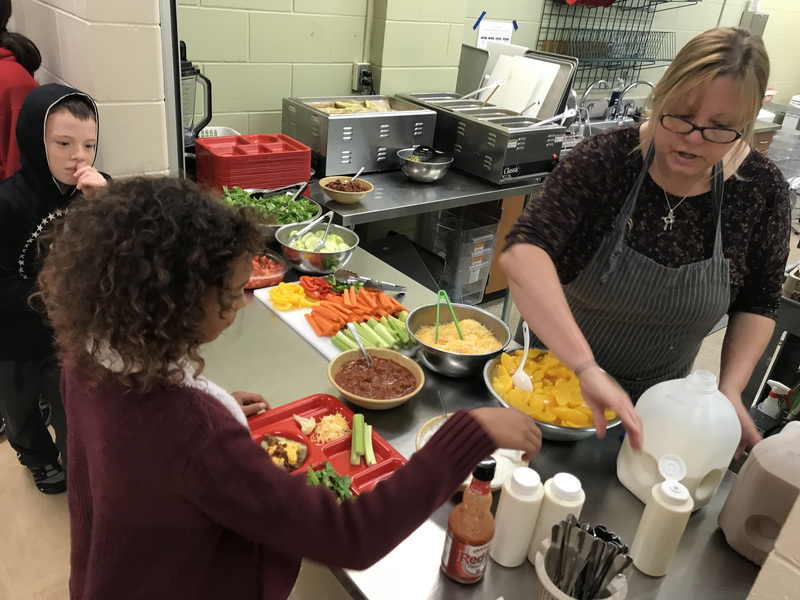 She’s supported the development of farm to school programming for 15 years, including Groundwork’s coordination of a local 10 Cents a Meal pilot in the Traverse City area that inspired state legislators to launch the state program.